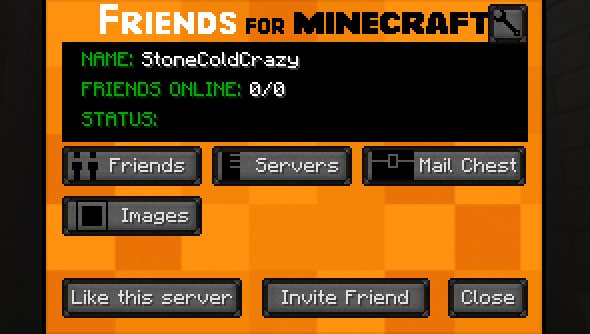 You may remember Mojang saying that they’re working on a friends list feature for Minecraft, something that would let you keep track of and contact other players. Well, it looks like Friends for Minecraft has beaten them to it. This free “social plugin” allows players to see who’s online and where, send messages to one another and share screenshots. It’s completely free and there are clients for both the PC and iOS devices. Not bad, eh? If you’ve not yet registered an account, then you can do in-game. It’ll take just a few seconds and you’ll receive an email confirmation once you’ve signed up. From here on, it’s a doddle to add friends, message them from your in-game mailbox and track them wherever they play. Wherever they go. Forever. Relentlessly. Sharing pictures and status messages almost makes it like Facebook for Minecraft, something that to me sounds much better than actual Facebook. What shall we call it? Minebook? Facecraft? 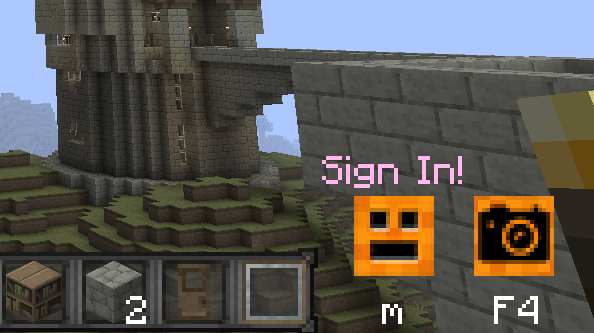 Friends for Minecraft is still in beta but it seems to be working just fine to me. Thanks to the Minecraft Forum for posting this.